Have you ever looked around you in a coffee shop, the train, in town and watched the people sitting there with their smartphones? Imagine that could be all your customers asking for offerings, the price or an appointment – via messaging. Now, you ask yourself how to handle that? We worked on a solution that connects different messaging services to one central platform. Watch the video of our new feature and get in touch with your customers today – with thismo! Any questions left? Sign up and message us – it takes just one click! Learn more about the difference between messaging and live chat! How do you want to improve your customer service if you do not listen to your customers? 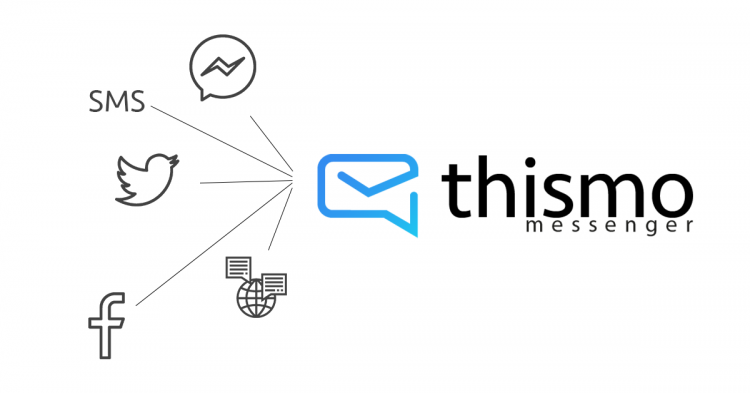 Message with your customers using thismo messenger. Be available for your customers and reach them on their smartphone over all the different messaging channels like Facebook Messenger, SMS, text message, web and live chat and more.